Embellish your desk with this classy looking leather desk calendar planner. 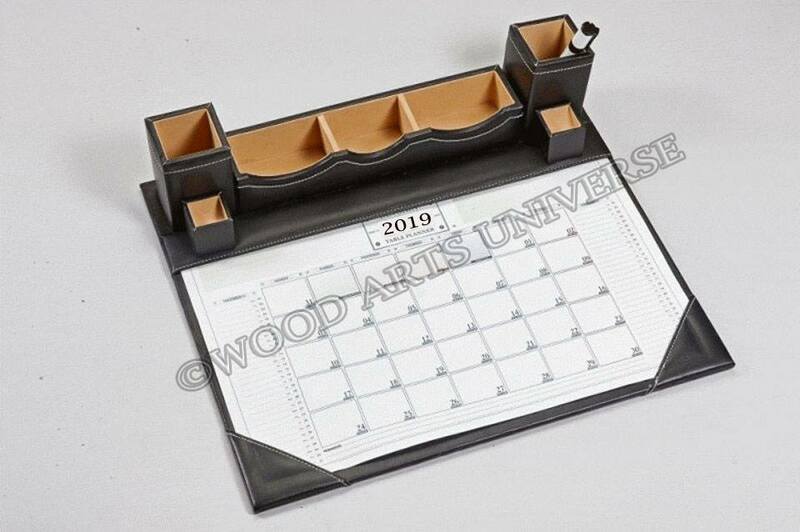 This planner comes with pen holder, business card holder, cell phone holder and it has various slots for other desk accessories like tacks & push pins, rubber bands, clips etc . This set includes everything you need to give your desk a dose of debonair.